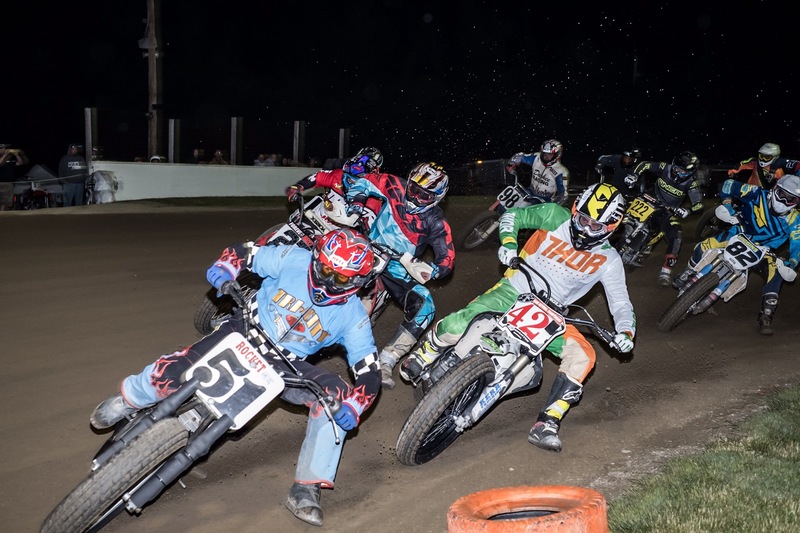 Saturday night Square Deal Riders Motorcycle Club opened their 2017 Flat track season in a big way. 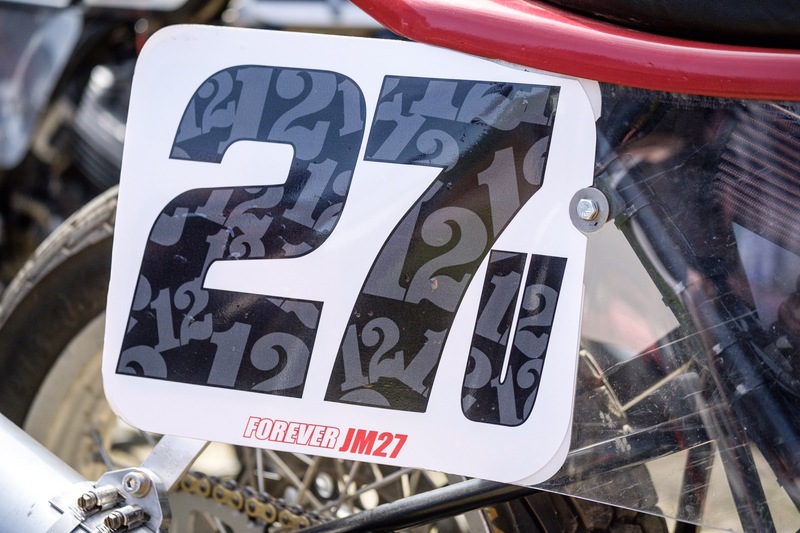 A record number of riders made their way to Port Crane, NY for the Tribute race for 27u Jamison Minor, and 99a Kyle McGrane. 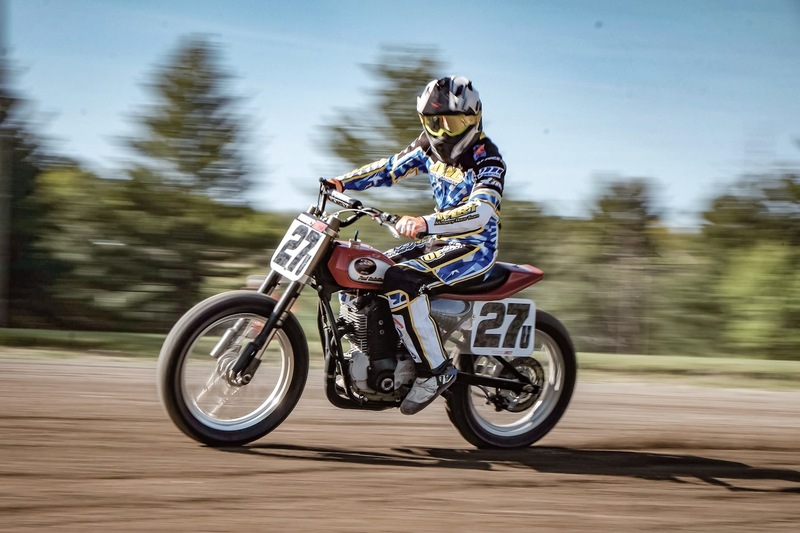 These two young AMA riders lost their lives in separate accidents last year during the 2016 Flat Track Series. 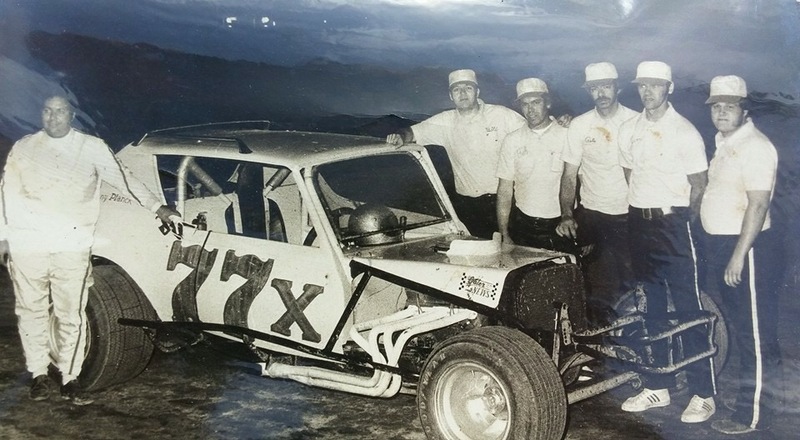 Both Kyle and Jamison were rising stars in this historic racing series. 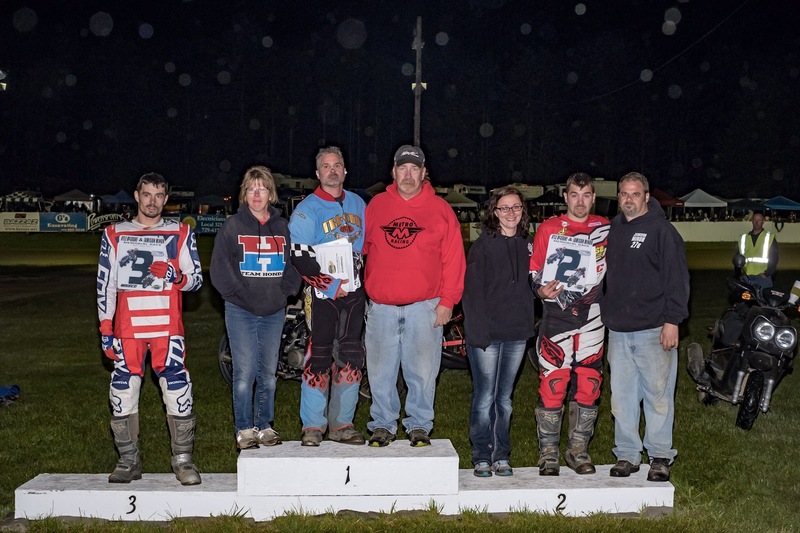 Family members from both riders were on hand to see 282 riders attending the nights race to honor their loved ones. 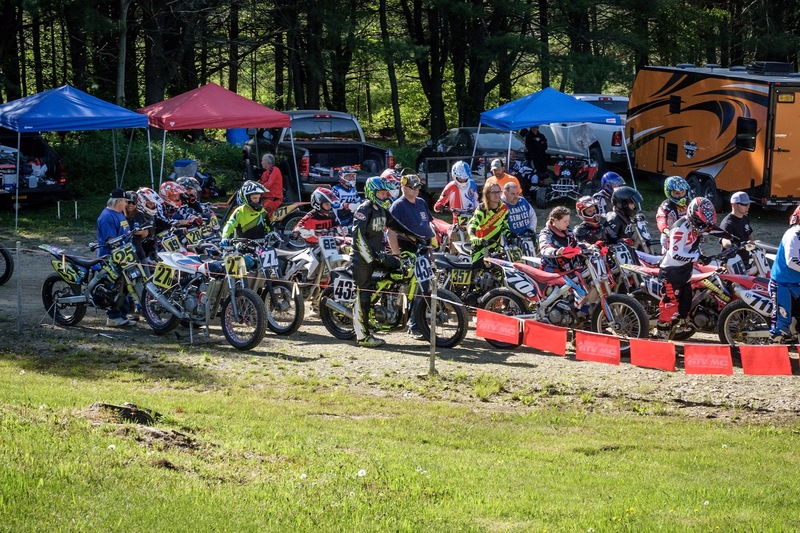 Over 40 riders from all over the North East were on hand to try and make the 16 riders main event. The pit area was bursting at the seams with the record amount of entries. As always Mike Williams and the club members did a fantastic job with preparation of both the track and the entire grounds. Along with a full pit area the grandstands were full of dedicated Flat Track motorcycle fans. Early on the sun was shining and temps were in the high 60’s. By the time the main event was rolling out onto the front stretch the temps had fallen down into the 40’s. After all of the heat races and four semis, the field was set. 16 of the top riders brought their machines out to the starting line for introductions. National riders, and past national numbers made up the stout field. Lucky to been able to capture them doing what they loved to do at SDR. The field was set, riders started their bikes and lined up behind family members on Jamison’s and Kyle’s bikes for a tribute lap around SDR. This gave me chills as the bikes made their way around the oval. Riders then picked their starting spots on the two lines in front of a full house. You could feel the tension in the air as the green light came on and the bikes came to life. After a few restarts the race was on. 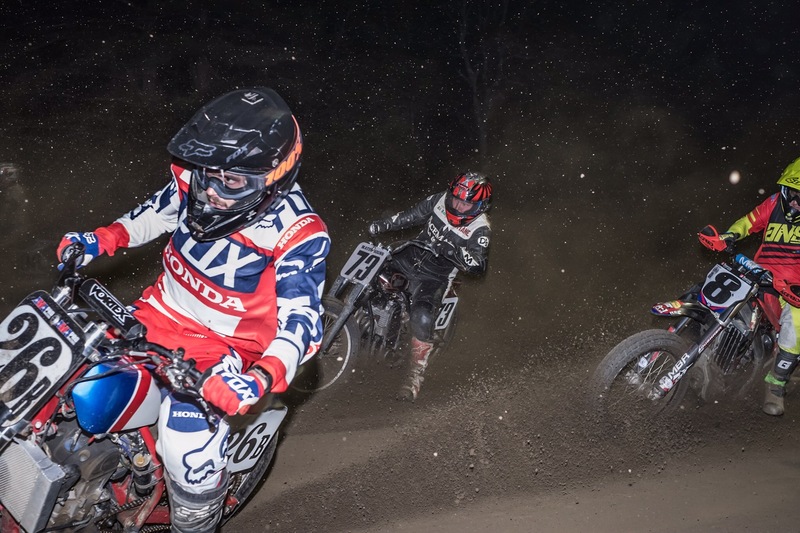 Former National rider Craig Estelle and current National #13 Jake Constantine lead the pack down into turn one. Inches separated 16 riders through the first two turns. These guys are warriors for sure. Estella lead Constantine by 1/2 a bike for the first few laps. Jake worked on Craig trying to find a way around the veteran for the lead. Behind those two were a host of battles going on through out the pack. The top five were all with in striking distance of the leaders. Constantine made a move by Estelle for the lead, but that didn’t last long. Craig drove his #51 Rotax by Jake again for the lead and never looked back. Constantine tried one more time coming out of turn two, but drove it off into the grass on the back stretch. He never lifted and came back up onto the track still on Craig’s rear fender. The ground came to their feet as the riders came by for the white flag. # 26 Lowell Carson from Lansing, NY was within a couple bikes behind the leaders in the third spot. Craig held his line as 2nd, and 3rd place looked for a way to get by. Checker’s flew as the #51 came out of 4 and down the front stretch for the win. 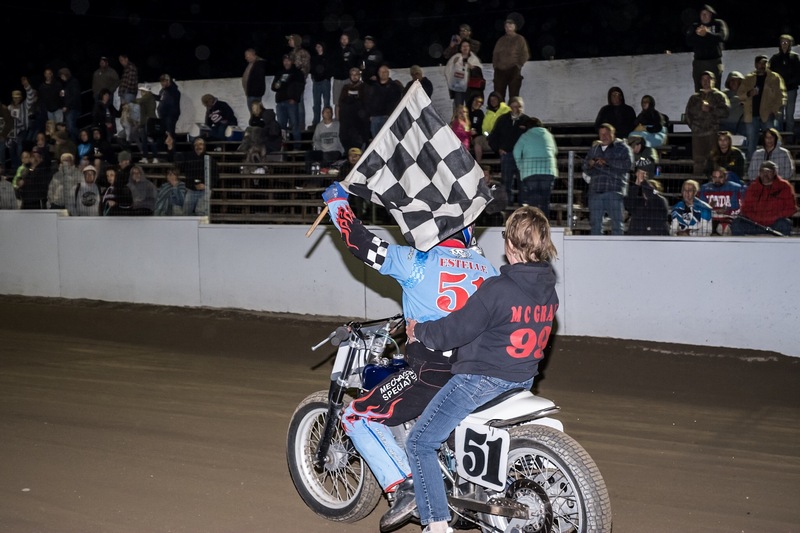 Estelle picked up Kyle’s mom and did a victory lap with her on the back of his bike, holding the checkered flag. Emotions were high on the podium as the riders said a few words about both Jamison, and Kyle. 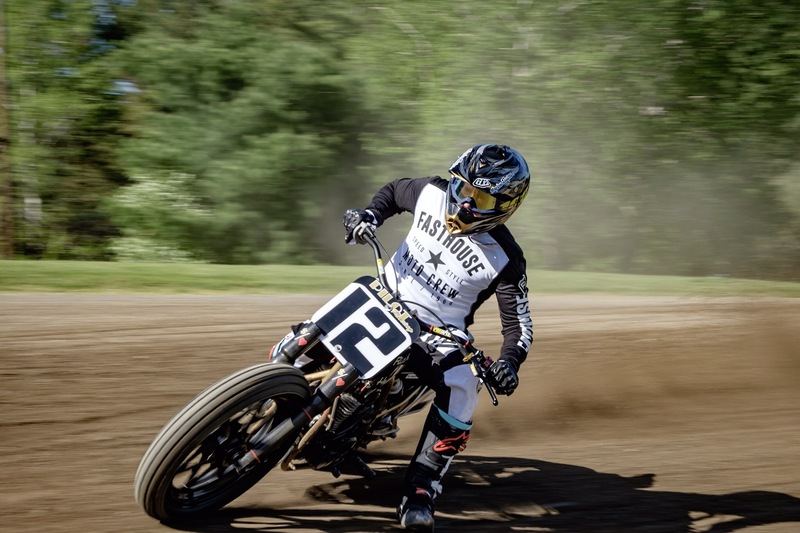 Everybody loves a great race, and a full field of riders, but I’m sure they would all give it up to have their fellow competitors back on the track with them. 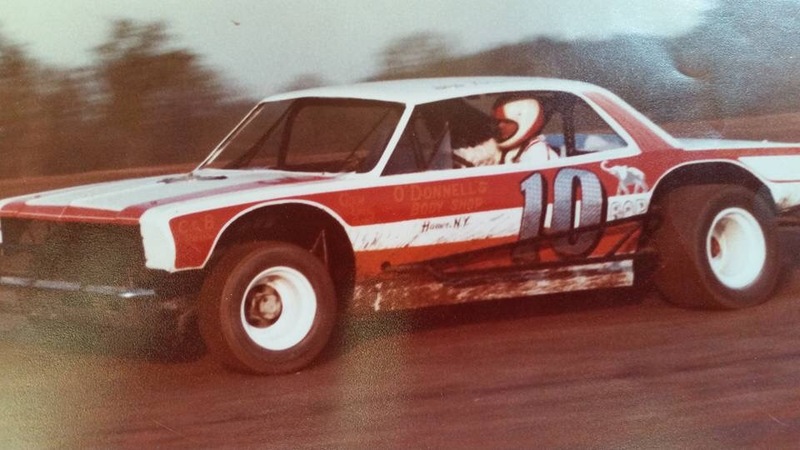 Under The Helmet was on hand for the season opener at Utica Rome Speedway. Click on the link below for coverage of the event in our no.1 issue of Under The Helmet Magazine.